Have you ever wondered what’s the difference between a meteor and a meteorite or an asteroid, meteoroid or comet? 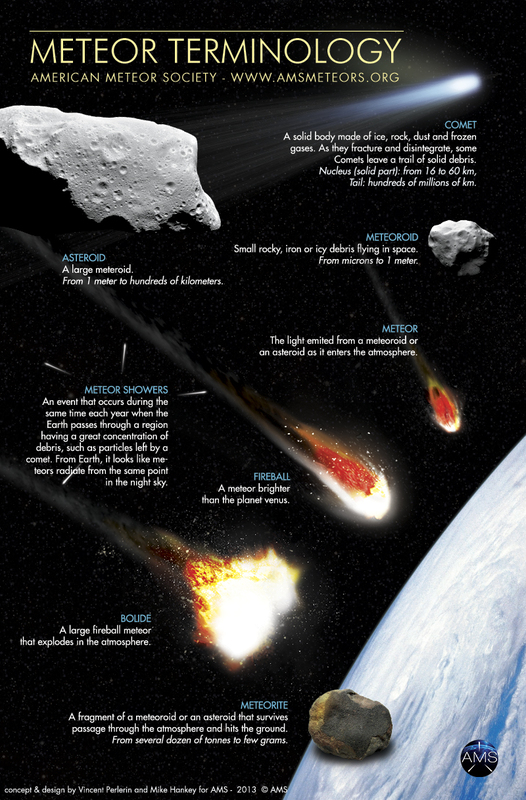 Here are the answers to all your questions regarding Meteor Terminology. I like space so I like the picture. Great graphic. Suggestion: Comet’s are not necessarily “small”; they are asteroid-sized bodies. When they exhaust their volatiles, they WILL be asteroids. I love cosmos or space science and I find here great knowledge about our solar system objects.